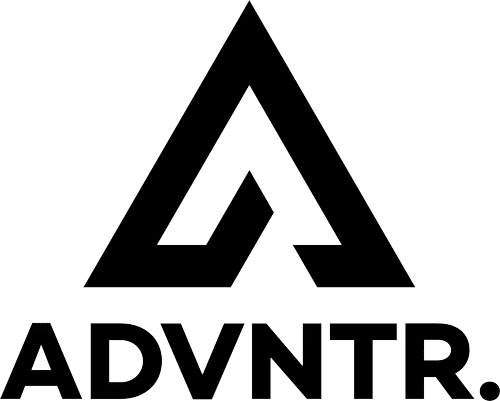 News: Close up with the Sonder Santiago - ADVNTR. 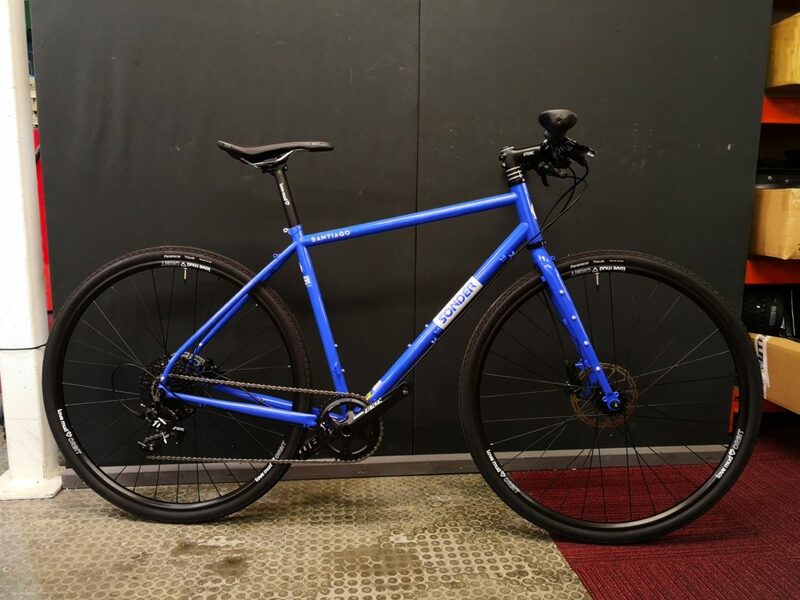 We recently featured the new Sonder Santiago and were excited by its potential at such a competitive price. 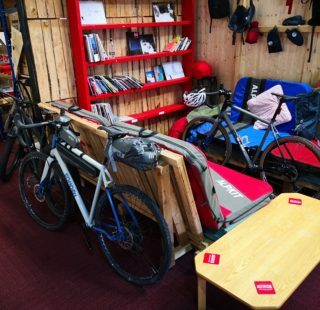 I dropped in to Alpkit HQ recently to take a closer look. Alpkit’s marketing and bike gurus Dan Thompson and Neil Sutton were on hand to give me a guided tour. They also revealed what else is in the pipeline. That is a story for another day, so for now I’ll concentrate on the Santiago. 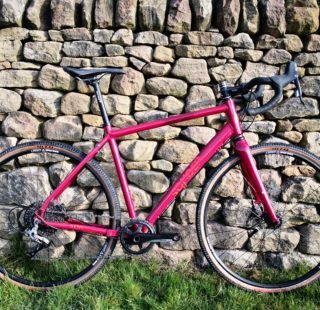 The Santiago framesets are on the way and Alpkit are taking pre-orders. Dan told me a handful had been express shipped which gave me the chance to have a look. 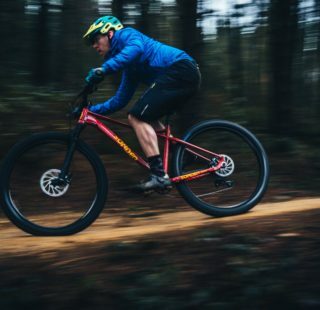 The first drop-bar builds of the Sonder Santiago were away for evaluation and photography. 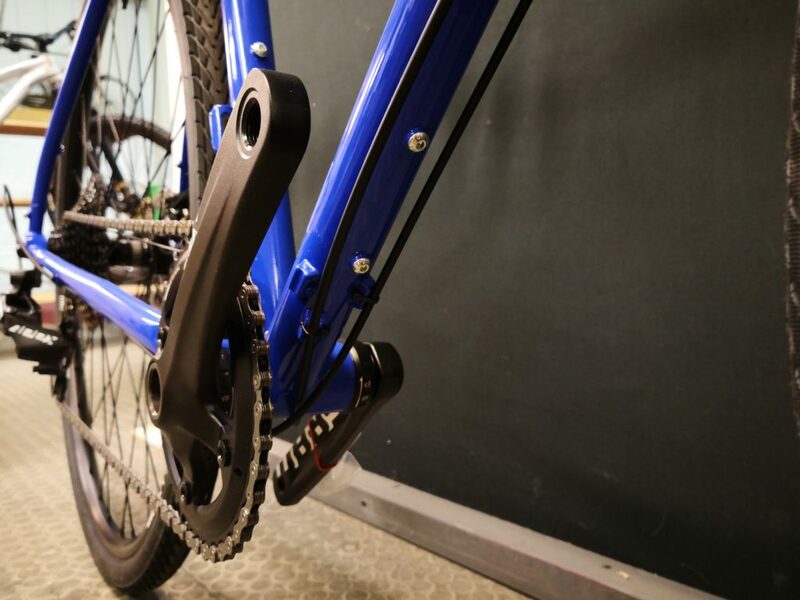 Our pictures are of the flat-bar, SRAM 1x, build specification. 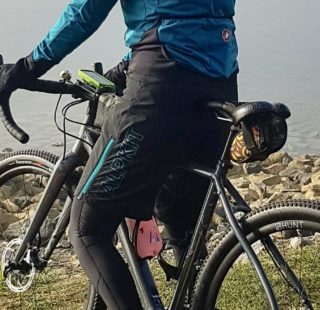 Rough road touring won’t be an issue. 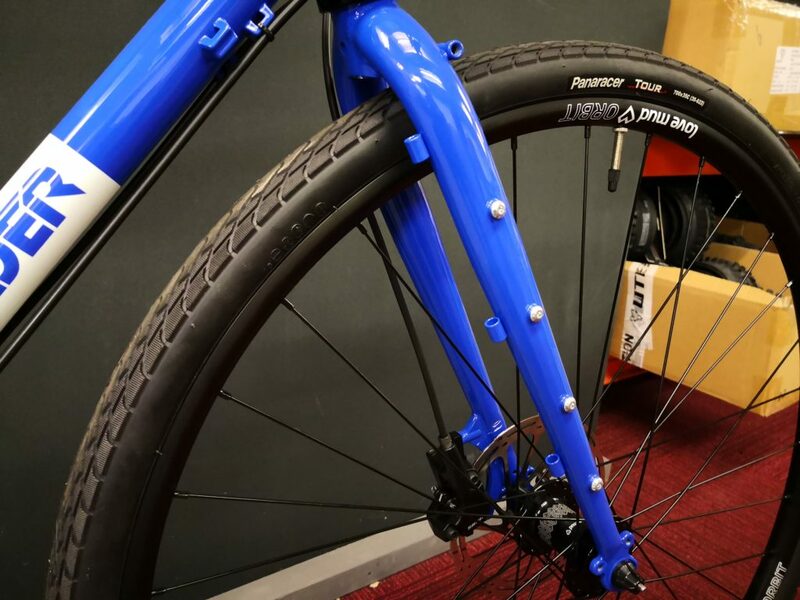 The Santiago has rack mounts, 700x35c Panaracer touring tyres on own-brand, Love-Mud ‘Orbit’ wheels and generous clearance for guards or even larger tyres. 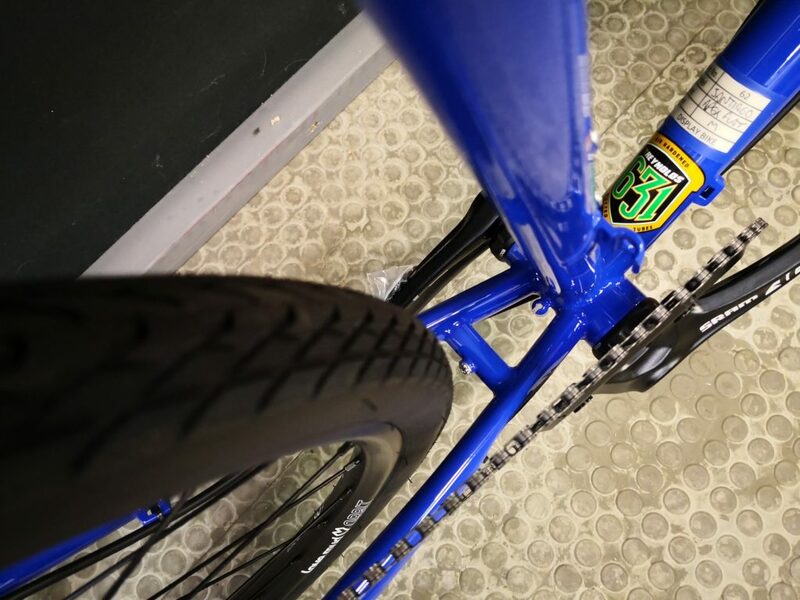 Note the chainstay clearance too. 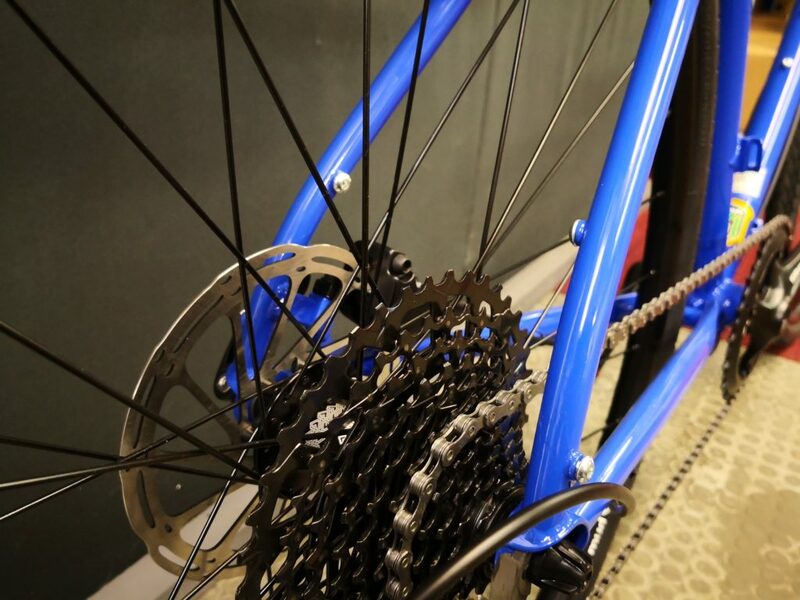 Cable routing and braze-on front mech mounts give you the option to run 2x drive systems if preferred. The forks bristle with extras! Front racks, mudguards, dynamo wiring and crown mounted lighting are all possible with the Santiago. 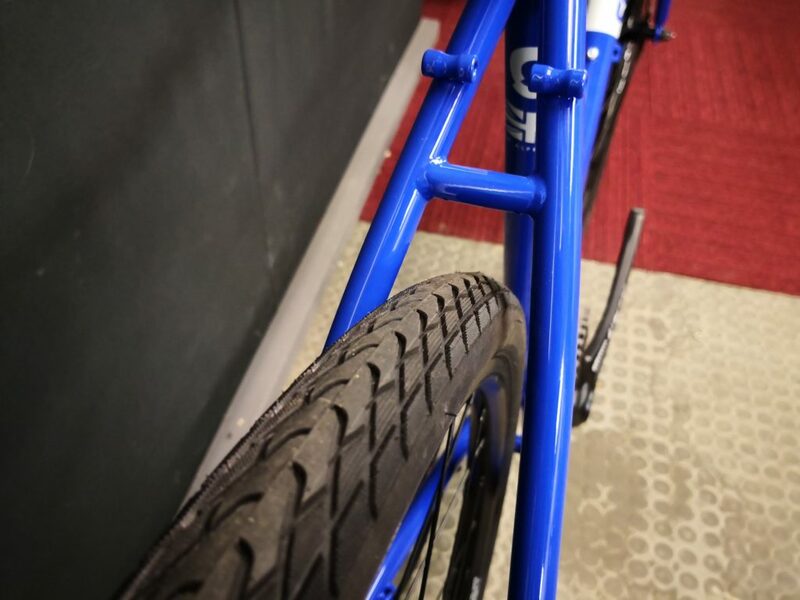 Looking under the downtube, you can see the fully enclosed external cable routing. This promises easy maintenance when out in the middle of nowhere or on tour to the newsagents. Those extra bosses will let you carry more water or kit. 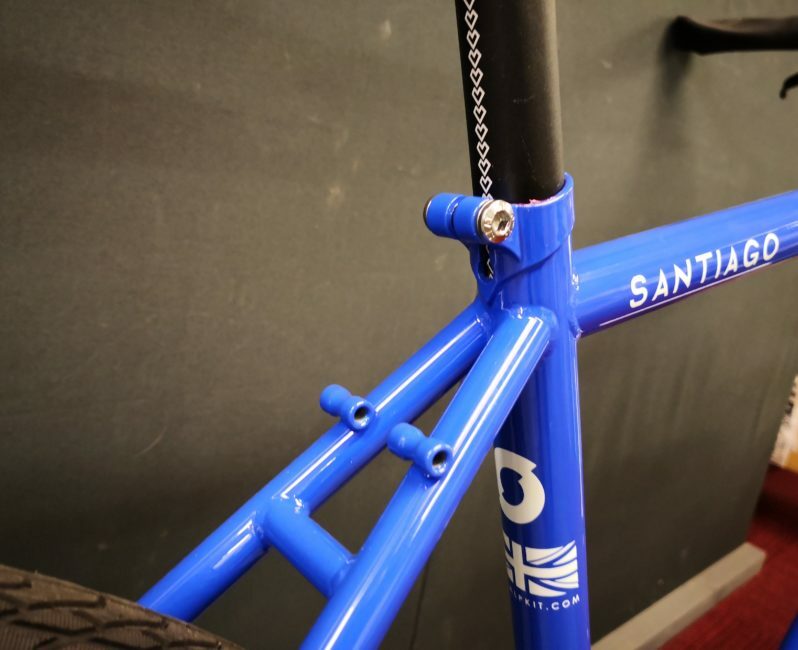 The Santiago frame features a Reynolds 631 main triangle paired with chromoly fork and chainstay/seatstays. 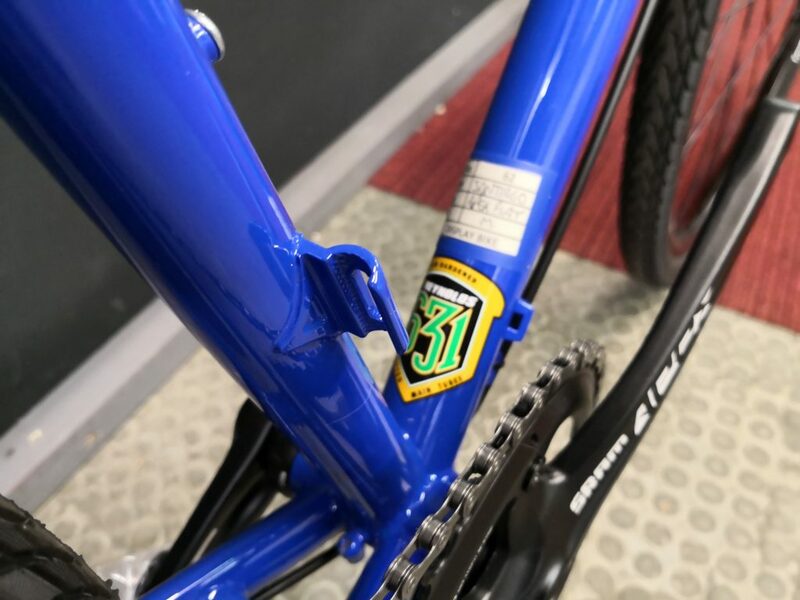 The Hooded dropouts are a nice touch, as are brake, rack and guard mounts that are positioned to avoid interference. So there it is, the new Santiago close up, hopefully the next time I see one I’ll be able to take it for a spin!